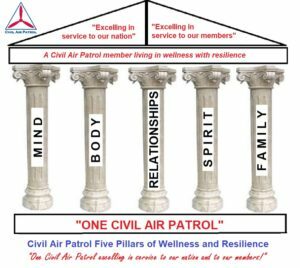 On 1 September, 2018, as part of its support of National Suicide Prevention Awareness Month, the Civil Air Patrol adopted the “Five-Pillars of Wellness and Resilience” to promote living in “wellness” and having good habits that allow all members resiliency during times of stress. 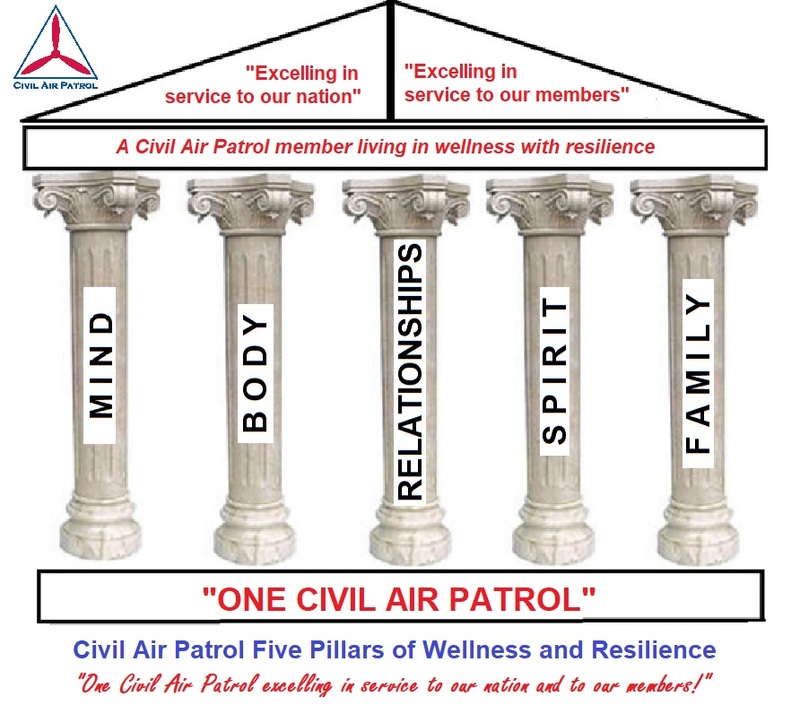 Five pillars are the focus areas for the model of “Wellness and Resilience” for the Civil Air Patrol. In response to several events that came from personal crises, the National Commander created a task force with representatives from operations, cadet programs, the chaplaincy, health services, and the peer support program, to make suggestions that point the way towards “excelling in service to” the most important asset in the organization – its members. 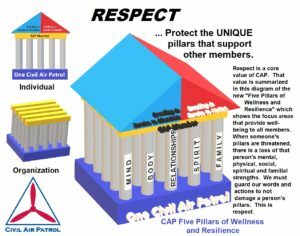 At the national meeting in 2018, leadership adopted the Five Pillars of Wellness and Resilience, a comprehensive model to provide “personal excellence” in CAP and life. CAP membership is a diverse population that ranges in ages from 12 to 100 years old. While the basic four habits in each pillar will be consistent throughout life, the emphases may change during different stages. This website is intended to introduce leaders and trainers to the concept of the model and define its scope, and some uses of the paradigm to support the membership. The model is shown in the graphics of this work. 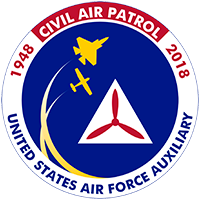 It begins on the bottom where the Foundation is “One Civil Air Patrol.” The Five Pillars lift the individual members to personal excellence and carry the “CAPstone” of service to the nation and fellow members. FAMILY – identity, roots and priorities. Every October all local CAP units will conduct a “system review” which can be thought of as an “M Check” (Member Check) for its most critical assets. Emotional Awareness is important to all members of CAP. Cadets need to know what they are feeling and practice responding correctly to those emotions. Seniors need to be aware of their feelings since they are important indicators of stress. Adaptability supports a member during changing life situations. Decision making is an important skill for leadership in the dynamic world of emergency services and cadet programs. Rest and sleep. Enough said. Eat well. Yes, your mother was right! Recreation (playtime) is important for everyone. What’s your perspective? When change happens in your life is it “the end” or “a new door is about to be opened?” Are hardships that you encounter “curses” or “chances to grow?” How you view the difficulty and stress can determine how successfully you weather the issue. Who am I? Where did I come from? Where am I going? How shall I live? Why? As a volunteer organization with a large youth program, there is a no pillar more important to the success of all the missions than the pillar of family. For cadets, their families are the sources of their values, culture and commitment to service. The cadet program only has its cadets for hours every week. Families are where the youngest members go for most of their needs in all the pillars. Having a robust partnership with cadet parents is critical to the success of this vital CAP mission. CAP senior members have different perspectives on family. Like all responders, if one’s family is not taken care of first, there is degraded mission effectiveness. Without the support of families, the volunteer service would not get done. Every senior member needs to ensure that their priorities are to the family first so that they can serve effectively. Since emergency call outs can come at inconvenient times, there needs to be a history of positive experiences to allow an occasional event that mandates a sacrifice. All units need to acknowledge this critical support that makes missions possible. The unique 3D view shows how the organization’s mission are held up by individual members with their own pillars. Respect is a core value of CAP. 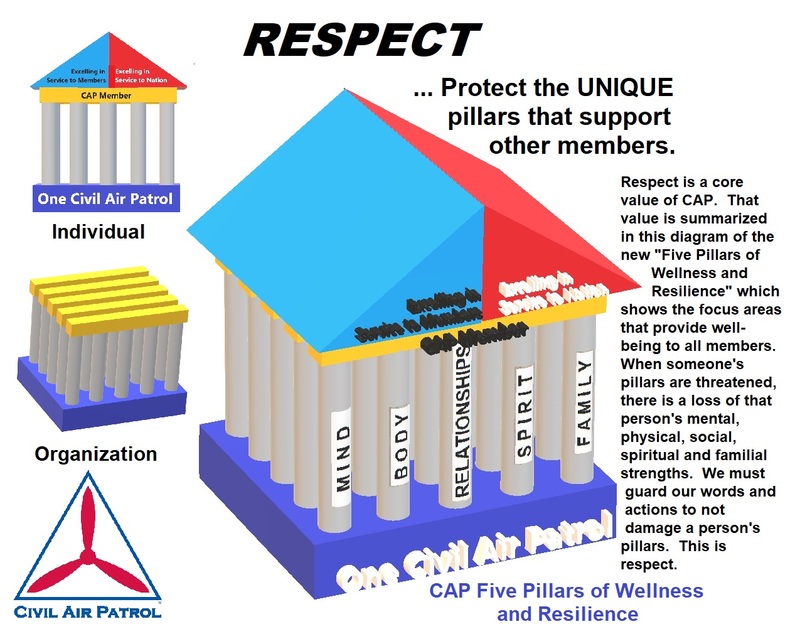 That value is summarized in this diagram of the new “Five Pillars of Wellness and Resilience” which shows the focus areas that provide well-being to all members. When someone’s pillars are threatened, there is a loss of that person’s mental, physical, social, spiritual and familial strengths. We must guard our words and actions to not damage another person’s pillars. This is respect. 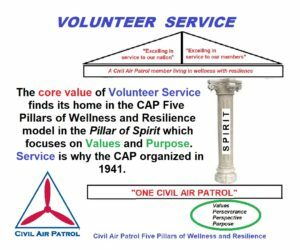 Volunteer Service is found in the Pillar of Spirit. 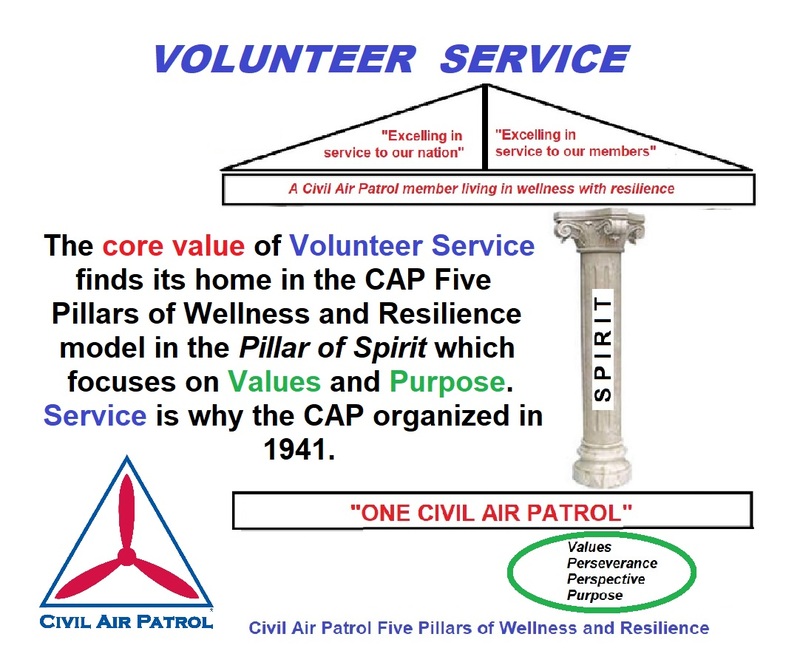 Volunteer Service is another core value of CAP. This value finds its home in the Pillar of Spirit which focuses on VALUES and PURPOSE. Service is the reason that men and women with courage and patriotism created CAP in 1941.